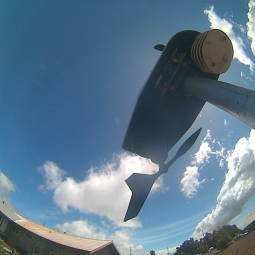 It's 14:49 in Waimea, USA right now. Weather in Waimea, Hawaii - Kamuela View A view of the current weather in Waimea, Hawaii with current weather data and timelapse video. Kapolei, Hawaii: Kapolei High School, 21.7 miles away. Honolulu, Hawaii: Oahu's South Shore Surf Cam from Ward Village, 29.3 miles away. Honolulu, Hawaii: Diamond Head, 29.3 miles away. Honolulu, Hawaii: Weather in Honolulu, Hawaii - Kalaepohaku Sky, 29.3 miles away. Honolulu, Hawaii: Weather in Honolulu, Hawaii - Manoa, 29.3 miles away. Honolulu, Hawaii: Weather in Honolulu, Hawaii - Waialae Nui, 29.3 miles away. Waikiki Beach, Hawaii: Waikiki Surfcam, 29.8 miles away. Waikiki Beach, Hawaii: Waikiki Beach Marriott Resort, 29.8 miles away.